Alana G: Do most male athletes cheat on their wives? Do most male athletes cheat on their wives? Our resident Yardbarker sexpert Chantelle Anderson implies that most male athletes do cheat, in her latest post that explores the dynamic of male athletes and their wives, mistresses, and groupies. 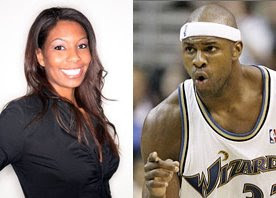 Yardbarker blogger Brendan Haywood is one male athlete who's taking offense to this, in his latest Yardbarker post.